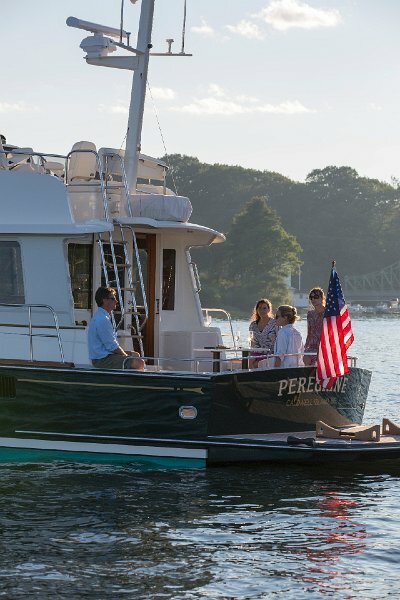 1 Peter Janssen takes Peregrine, a 42' flybridge twin jet designed by C. Raymond Hunt and built by Lyman-Morse, up the St. George River and to Port Clyde. 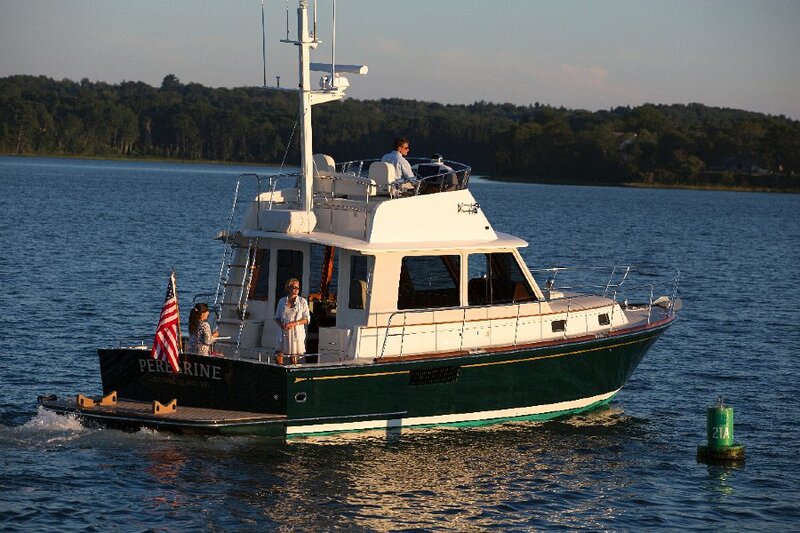 2 Peregrine, a 42' flybridge twin jet designed by C. Raymond Hunt, running in Thomaston, Maine. 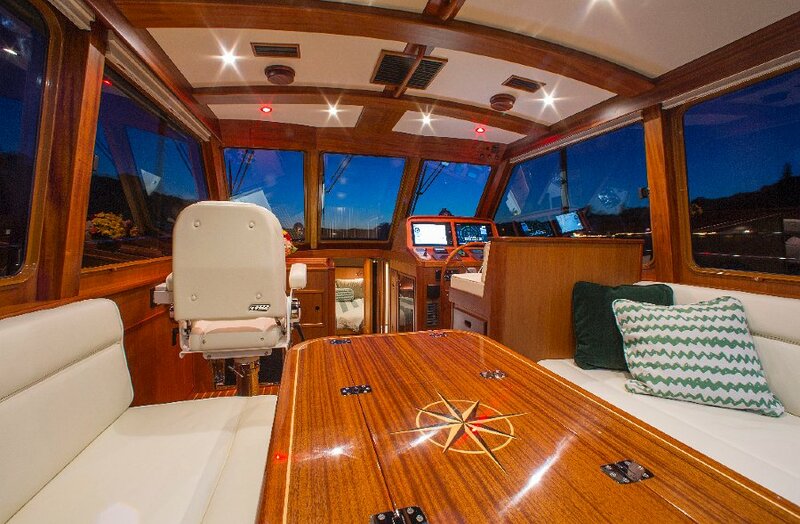 3 Interiors onboard Peregrine, a 42' flybridge twin jet designed by C. Raymond Hunt. 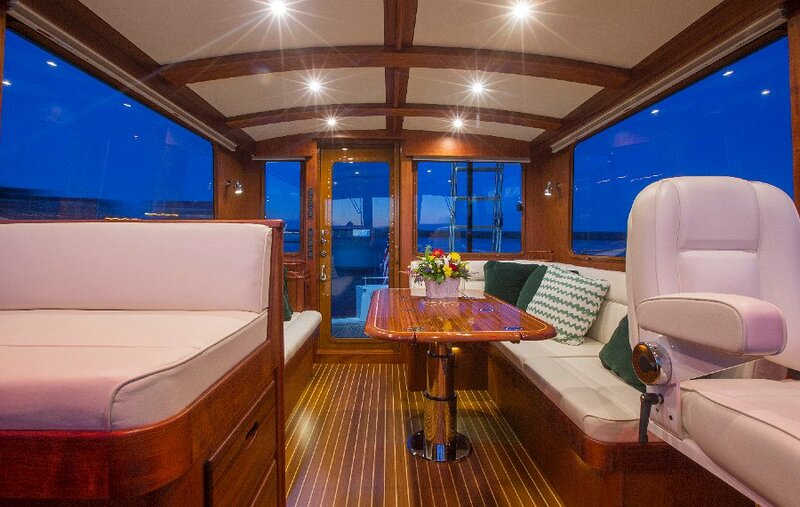 4 Interiors onboard Peregrine, a 42' flybridge twin jet designed by C. Raymond Hunt. 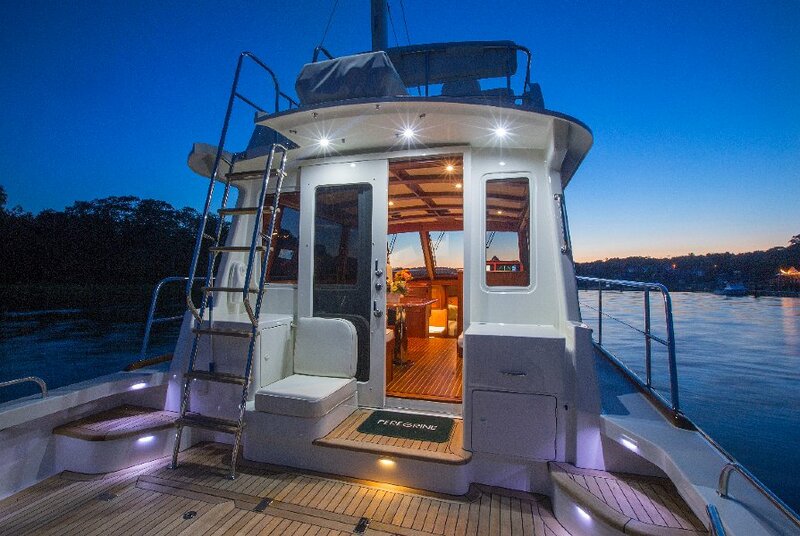 5 Interiors onboard Peregrine, a 42' flybridge twin jet designed by C. Raymond Hunt. 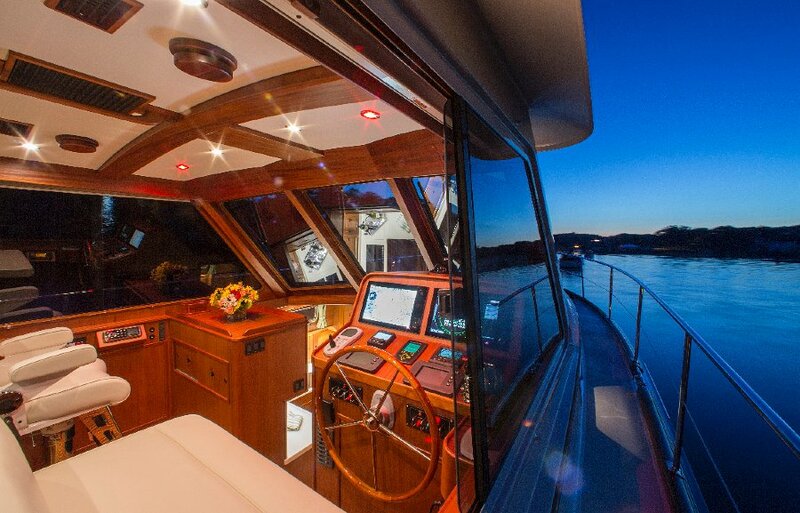 6 Interiors onboard Peregrine, a 42' flybridge twin jet designed by C. Raymond Hunt. 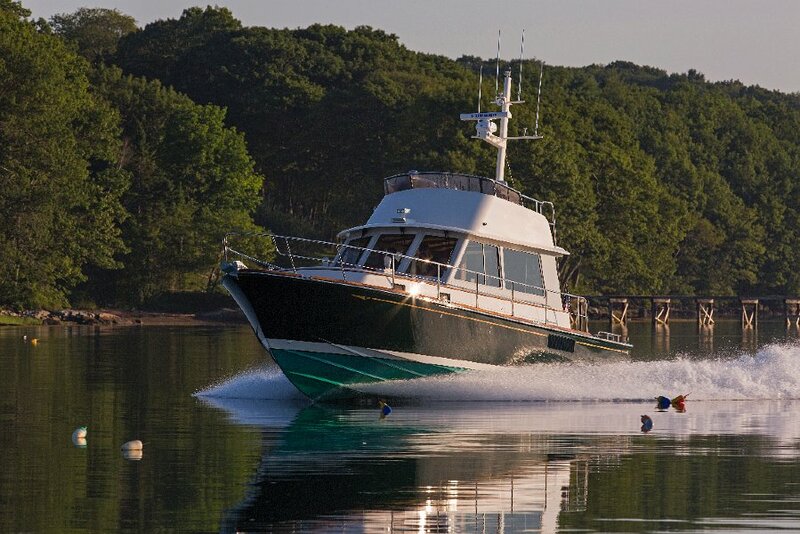 7 Peregrine, a 42' flybridge twin jet designed by C. Raymond Hunt, running in Thomaston, Maine.